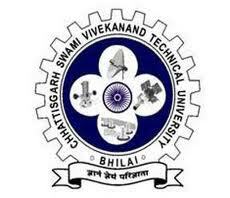 Chhattisgarh Swami Vivekananda Technical University, Bhilai has again pre-poned the results of BE 3rd semester Regular and Backlog results held in Nov-Dec 2012. After implementing the new digital valuation system, the results of every semester (regular and backlog) results has been pre ponding by one or a few days. There seems to be some improvement in the over all pass percentage by this process even though there are some complaints of the valuation process.